Nancy Carman’s art is a contemporary take on traditional ceramic painted pottery and figurine tableaus. 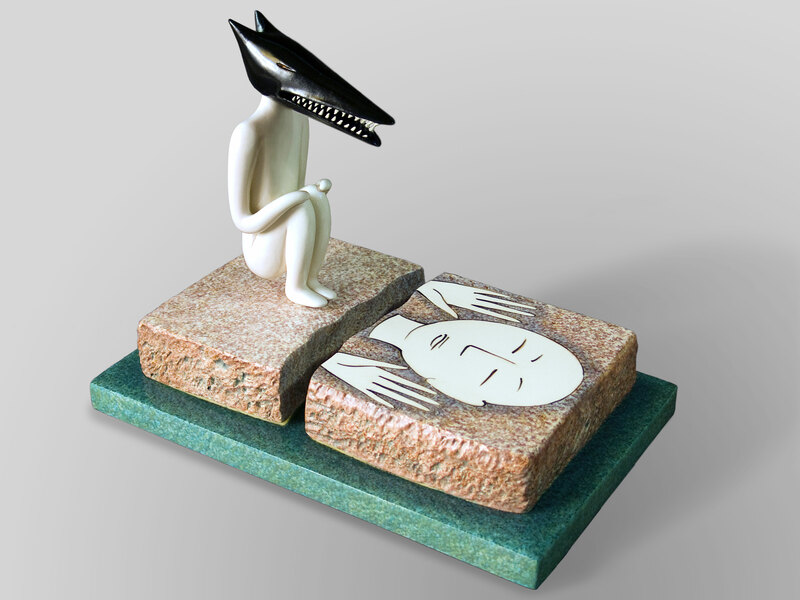 Drift, a surrealistic narrative sculpture, is evocative of magical fetish objects and the poetic symbolism of dreams. Perhaps more enigmatic than Possible Moons, which is the other piece that the Pennsylvania Convention Center acquired, Drift’s images of separation of parts (where the dog head/mask can literally be removed from its human figure) are meditations on mind/body, the singular nature of the individual and our territorial impulses.